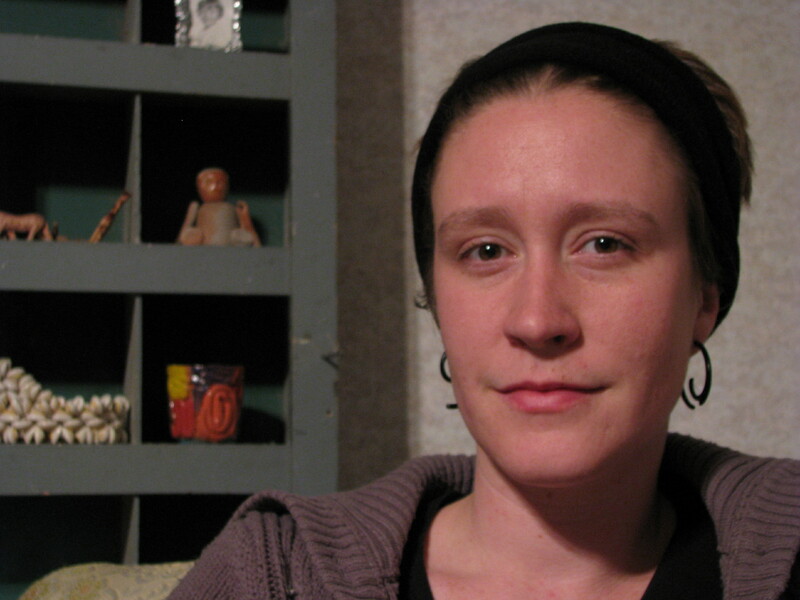 Laurel Ripple Carpenter is a radical doula, reproductive rights activist, abortion advocate, maker of feminist art, anarchist, partner, and mama to the fiestiest red-headed toddler ever. She publishes the CUNTastic Zine, is founder of The Doula Partnership, and lives at the Black Diaper Collective in Grand Junction, Colorado. Contact her at laurel@cuntastic.org. Websites are: blog & zine, doula non-profit, feminist art, and doula website. LRC: My own experience with an unplanned pregnancy sent me on a journey of discovering reproductive health. I began studying reproductive rights and pro-choice politics, and became passionately committed. When I independently designed my Bachelor’s degree as the Anthropology of Reproduction, I began to understand reproductive rights as a continuum, from pregnancy and birthing to abortion and birth control, rather than one end of a spectrum. 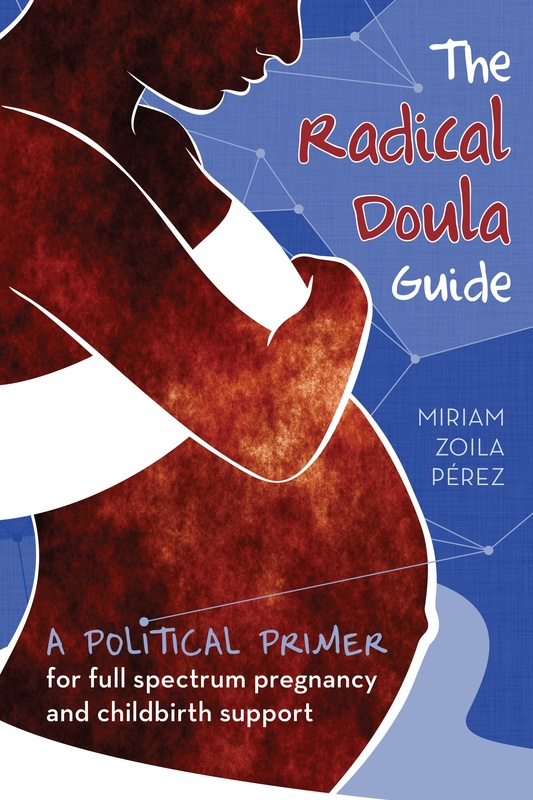 Being a doula is one way for me to support women in their choices about their bodies, and is a great addition to my other reproductive rights work. LRC: As a doula, I advocate for the birth that the mother desires, whether that’s medicated or unmedicated, at home or in the hospital. I am particularly committed to serving marginalized populations, including teen moms, survivors of abuse & assault, recent immigrants, incarcerated women, non-English speakers, and non-traditional families. Doing this work, and doing the work of raising my own child in our non-traditional family, are the most radical acts I could ever enagage in. LRC: Any time I can act as a resource for anyone dealing with a reproductive health issue, I feel useful and engaged. I am honored to be trusted as a source of information, whether that information is about birth, abortion, birth control, or any other element of reproductive health. Being in the delivery room with a birthing woman is an honor to me, and so is holding the hand of a woman making a difficult choice about an unplanned pregnancy, providing information to a woman comparing her birth control options, and introducing women to sustainable menstruation options. LRC: In a perfect world, I would love to shift the US perspective on birth from viewing it as a medical ordeal, to viewing it as a normal, safe, and healthy event, and viewing birth as one of many events along an entire continuum of reproductive health. Previous Article What organizations work with feminist mothers? wow, I literally just finished reading an issue of the CUNTastic zine and was going to suggest that you profile Laurel! What a coincidence. Great post!